Steven Spielberg, the director who needs no introduction, will take the helm on the first live action adaptation of Roald Dahl's acclaimed story book, which many may also know by it's 1989 animated adaptation starring Sir David Jason. Disney will produce this latest big budget fairy tale which stars Mark Rylance as the eponymous character and Ruby Barnhill as protagonist Sophie. Many people are expressing distaste at Disney's recent trend of turning old classics into live action blockbusters, and while they've not always perfected their outcomes, this itself looks like a charming piece of work that will hopefully maintain the book's original spirit whilst updating things suitably for modern audiences. It's hard to truly assess it as we've only got one trailer and some promotional images thus far, but I certainly look forward to it, especially when one considers how Spielberg has always nailed charming nostalgic and childhood tones in many of his classic films without resorting to pretentious pandering. In J.K. Rowling's screenwriting debut, she will adapt her 2001 novel Fantastic Beats and Where to Find Them into the first feature film in the Harry Potter universe since the series' conclusion half a decade ago. Taking the director's chair is David Yates, director of the first two Potter films, so it's most certainly in safe hands. It's more of an inspiration of the novel than a direct basis, as of course, the novel itself is just a non fiction book (in Harry Potter's world at least...) that documents various species that dwell in the wizarding world. 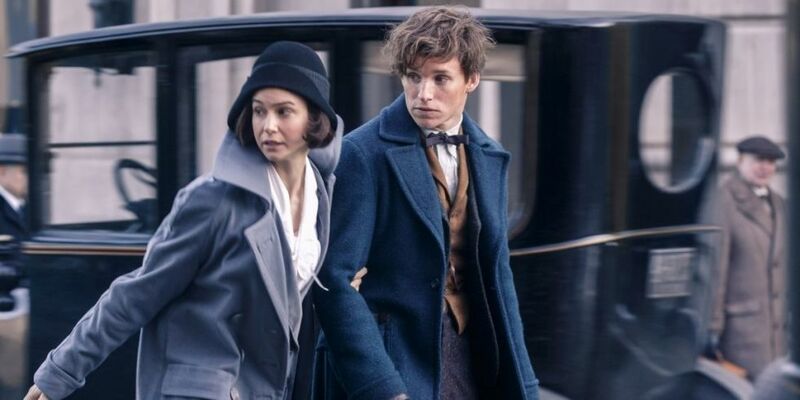 The always superb Eddie Redmayne stars as Newt Scamander, author of the novel in question, and a keen Ministry of Magic wizard who journeys to the muggle world to face important meetings with government officials. Crucial to the plot is a magical briefcase he carries that stores a number of supernatural creatures inside, and one that of course houses potential dangers to get the plot going. Although it initially seemed forced to adapt such a novel into a film, the fact that Rowling herself is penning the script gives me hope that a lot of genuine care will be made to ensure it's not a lazy cash in of her work. Yates' return to the directors chair is more than welcome, and with a well chosen cast to boot, things are looking promising thus far. Zootopia, known as Zootropolis in the UK, is Disney's next animated more-than-likely blockbuster. A society of anthropomorphic animals is not exactly an original concept, but here's where the creators added their own unique touch: the world is a world not only inhabited by animals, but also designed by them, something Disney executives hinted that would be reflected in the overall architecture of the locales and cities. Jason Bateman and Ginnifer Goodwin star as Nick Wilde, a con artist fox, and Judy Hopps, a young rabbit police officer, respectively, who must team up as unlikely friends to solve a mysterious criminal case within the titular city before time runs out. Disney have risen from their 2000s slump in the past half a decade to become one of the most successful animation studios once more, and Zootopia certainly looks poised to continue the trend - the initial teaser shown back in June is a charming summary of the film's humour, as was the laugh a minute sloth trailer shown back in November. Thankfully, in both previews, the plot wasn't spoiled too much, and a detective story is a more than welcome path to take after numerous other narratives in recent Disney flicks. I certainly anticipate it being one of Disney's funniest and most unique in their recent resurgence. Though I'll undoubtedly give it a watch, I have to be honest and confess my thoughts that Batman v. Superman: Dawn of Justice looks pretty stupid. However, the other DCU film that will hit cinemas this year focuses on the array of villains in DC Comics' history: Suicide Squad. The first trailer premiered back in July, reaffirming confidence in it's strong cast consisting of Will Smith, Margot Robbie, Joel Kinnaman and, of course, Jared Leto as the terrifying Joker. 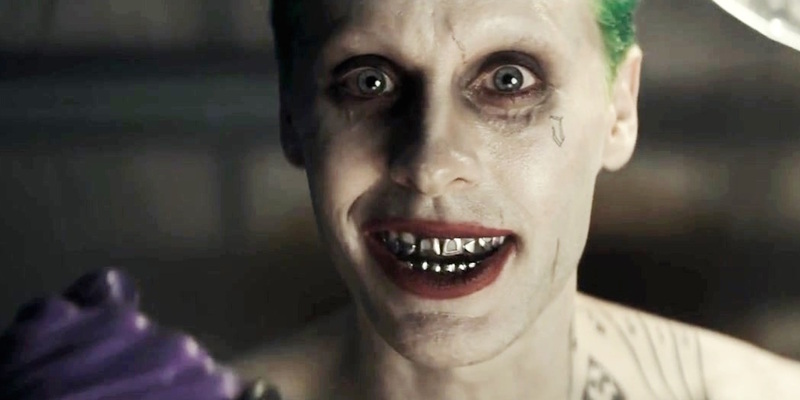 Everyone likes to raise the debate of whether or not Leto can rival Heath Ledger's acclaimed Joker from 2008's The Dark Knight, but perhaps we should look past any sort of rivalry and admire his new approach to the character. A superhero film dedicated solely to the villains is something we've not seen in recent times and so this will make for an interesting approach to the structure of the story. A lineup of superb actors helm each role, and with the ever talented David Ayer as writer/director, Suicide Squad will hopefully live up to it's large ambitions of being a unique twist on the superhero genre. 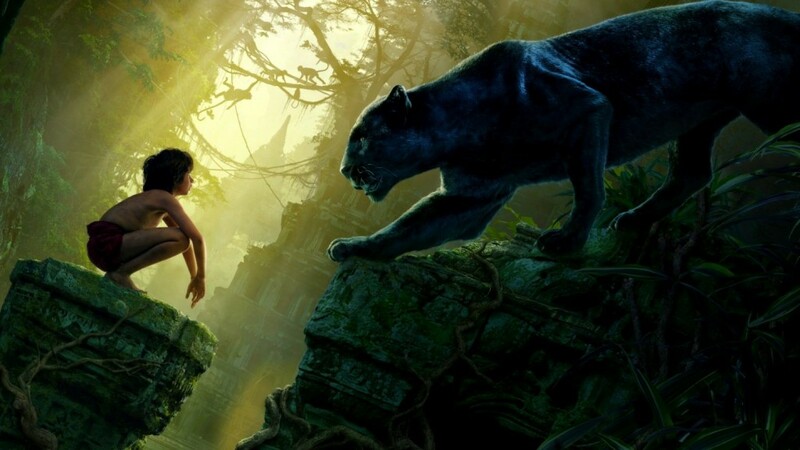 Here we go with another live action Disney update - that of their 1967 animated classic, which in turn is based on the 1894 storybook by Ruyard Kipling. The most notable thing at first is it's outstanding cast - Ben Kingsley, Idris Elba, Christopher Walken, Bill Murray, and of course, Scarlett Johannson as Kaa, the manipulative python; a casting choice that garnered much controversy due to the role typically being masculine. Her voice didn't completely win me over in the first trailer, but I still anticipate what direction her performance will go down, given that the tone of the film seems to be much darker than it's animated source material. It certainly doesn't look light on thrills either, with Bagheera himself engaging in a fight with Shere Kahn in the trailer, albeit very briefly - something we never saw in the original, and a scene that emphasizes some new ideas coming to fruition. Although a darker tone seems to be present, Murray undergoing the main role as the loveable sloth bear Baloo is sure to help the film retain a key part of the original's jubilant spirit and charming comedic appeal; of course, we all know the much loved Bare Necessities will be making a return and will be sung by Murray himself. Let's hope the balance is met between the classic fairy tale-esque vibe and it's ambitious path to be more complex for the modern crowd.